Folks over the age of 50 have a lot of options as it relates to retirement savings. After the age of 50, you are allowed to contribute more to a 401k or IRA account. Investing in real estate is another option that will help those looking to retire accelerate the growth of their overall portfolio. How can you use real estate properly to help you save for retirement and live comfortably after you retire? The first thing that you need to understand is how a property generates revenue. The first way that a property can generate revenue is to provide a monthly rent check that will go straight into your retirement account. Another way for a property to generate revenue is to be flipped soon after it is purchased. Flipping refers to the process of buying a property at below market value, fixing it up and selling it for a profit as soon as possible. Which Properties Should You Rent? Properties in college towns, areas where large companies are present and areas where home ownership is low are all ideal places to buy properties with the intent to rent them. This is because college students, executives and those who don't have the resources to buy a home are always on the lookout for reasonably priced housing. Before you buy a properties with the intent to rent them, make sure that you do pre purchase inspections. Building inspections prior to purchase allow you to ensure that any property that you rent is going to be up to code. If a tenant is not provided with a clean and safe place to live, that tenant may not have to pay rent until all issues are corrected. Which Properties Should You Flip? Foreclosed properties are prime targets to be flipped. However, you should make sure that you understand the potential pitfalls of buying a foreclosed property. First, you may not be able to do pre purchase inspections. This is because you buy the property as is. Second, you need to have the money upfront before you buy a foreclosed property to put inside of a retirement account. 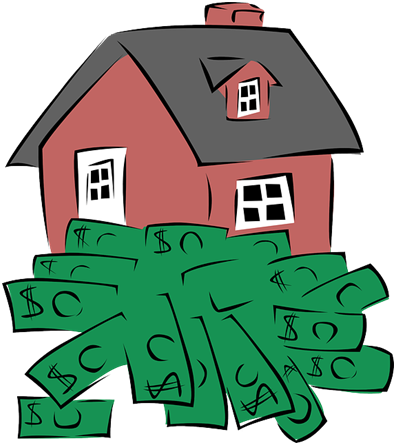 If you don't have sufficient funds to buy a home, find an investor who will be able to help you. Feel free to buy as many properties as you would like inside of your retirement account. This is because the money in your account is not taxed until it is taken out of the account. In addition, you don't have to worry about paying capital gains taxes on your properties. For example, if you sell a home to someone else, you don't have to pay capital gains taxes on the profit that you make from selling the house. Otherwise, you could be charged as much as 15 percent or more in taxes each time you realized any type of capital gain on your investment. Rental income and profits realized from the sale of property all flow to your retirement account as soon as your receive them. The money is then reinvested wherever you want it to be reinvested. This allows you to use a rent check to buy shares in a mutual fund or investment that will offer compounding returns over time. Anyone looking to buy real estate should understand how real estate generates income and how to take advantage of that money. Remember, building inspections should be done on any property that you buy whenever possible. Doing so allows you to avoid buying properties that will eat away at your profits because you have to spend money on repairs and maintenance. Implying that the Holy Ghost cannot move while not their monetary tools? Is that blasphemy? Be courteous as an agent and we must help those people find the right real estate for them. Make sure that we can give them the needs that they want for their business. It is important that we find a property that is perfect for our customer to ensure that they will find their own property to have.